Easton, Bristol are running their event on their own website. Please visit the Easton, Bristol website to find out more and take part. 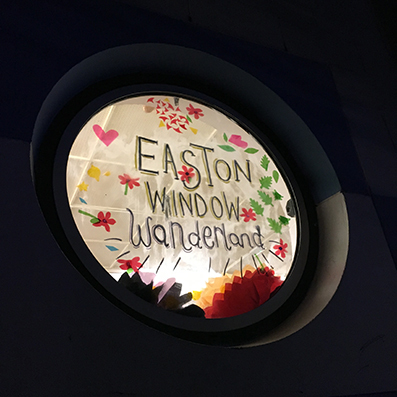 After a wonderful trail last year, we are once again inviting Easton households and businesses to create displays for their windows to form a trail that will light up the whole neighbourhood. Your windows could explore scenes from a favourite film, culture, hobbies or anything you feel passionate about. Keep it simple or go all out: as long as it’s family friendly, anything goes! Keep your eyes peeled for window workshops and community events closer to the time.